High Brass - Flugelhorn - Flugel Tops - Page 1 - Harrison Mouthpieces Inc.
Flugelhorn tops come in a regular (FLC), deep (D), and shallow (FLS), cup. The FLC flugelhorn top provides an excellent combination of a dark tone and access to the upper register. This is the best choice for most players. The British Cornet / Flugelhorn D top is a dual purpose top the works equally well as a deep flugelhorn top or as an extra deep cornet top. The cup is a deeper option that provides an extra dark sound, but the trade-off is an upper register that is less supported. It can be used on either instrument with the appropriate shank. 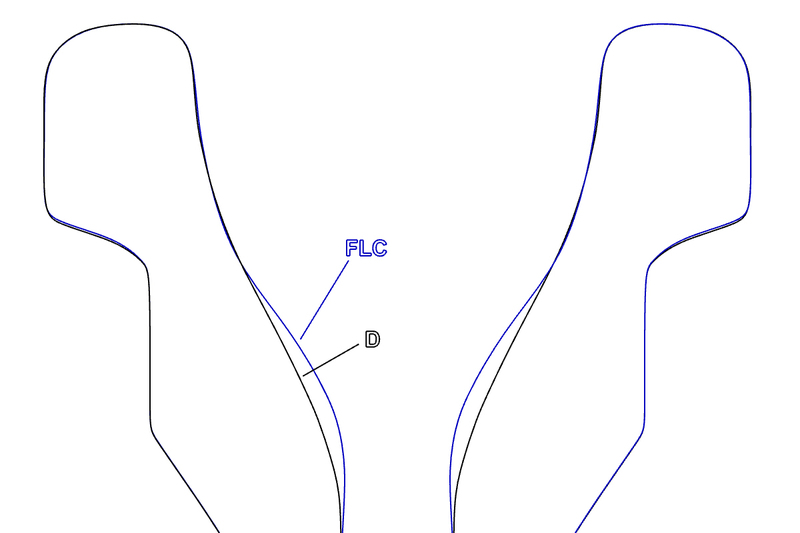 The Wedge FLS flugelhorn cup is a V shaped cup that is shallower than our regular cup, and similar in depth to a Yamaha Bobby Shew or ACB flugel cup. The FLS cup is an excellent choice for someone looking for an easier upper register and a more focused sound in a flugelhorn mouthpiece, while retaining a characteristic flugel sound.